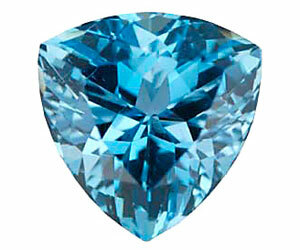 A beautiful light blue color, aquamarine is the March birthstone. According to folklore, the cool and optimistic aquamarine provides a sense of youth and hope to the March-born, and is thought to bring protection to sailors. Aquamarine is found in Brazil, India, Russia, and the United States (Along the East Coast and in Colorado), with Brazil being known as the source of the finest aquamarines.